The Criminal Investigations Division (C.I.D.) is led by Sergeant Andrea Grinstead. The Criminal Investigations Division is tasked with following up on leads in criminal cases. The Investigators are available to respond at any time, day or night, to scenes of any incident. During the investigation process, the investigator works to follow up on reports of criminal activity initially reported to our uniformed patrol officers. Investigators then establish the elements of the crime as defined by state law, identify and apprehend the person responsible for the criminal act. Investigators work closely with our Victims Advocate to keep victims informed on the status of their case. The Investigator is responsible for the processing all major crime scenes as well as the collection, packaging and preservation of evidence. Investigators responds to all major crimes against persons, deaths, most crimes involving serious injuries and serious property crimes such as robberies and burglaries. They also assist the patrol division with the processing of other minor property crimes as needed. Criminal Investigators are also responsible for analysis, evaluation, and dissemination of data on crime trends is such areas of gang and drug activities. They are responsible in the planning and execution of activities regarding the enforcement of narcotics and drug laws by executing search warrants, conducting vehicle and building searches for obtaining evidence of a crime and detecting the presence of concealed narcotics. 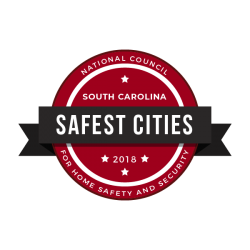 The property and evidence room, stores, safeguards and properly disposes of all property that comes into the custody of the Irmo Police Department. Most of the items entered into the property room are evidence of a crime and held for court purposes. The department strives to maintain property in the same condition as it was received. All reasonable efforts are made to return property to its rightful owner unless it must be held for court purposes or is deemed to be contraband. Otherwise, property is disposed of in accordance with legal requirements.